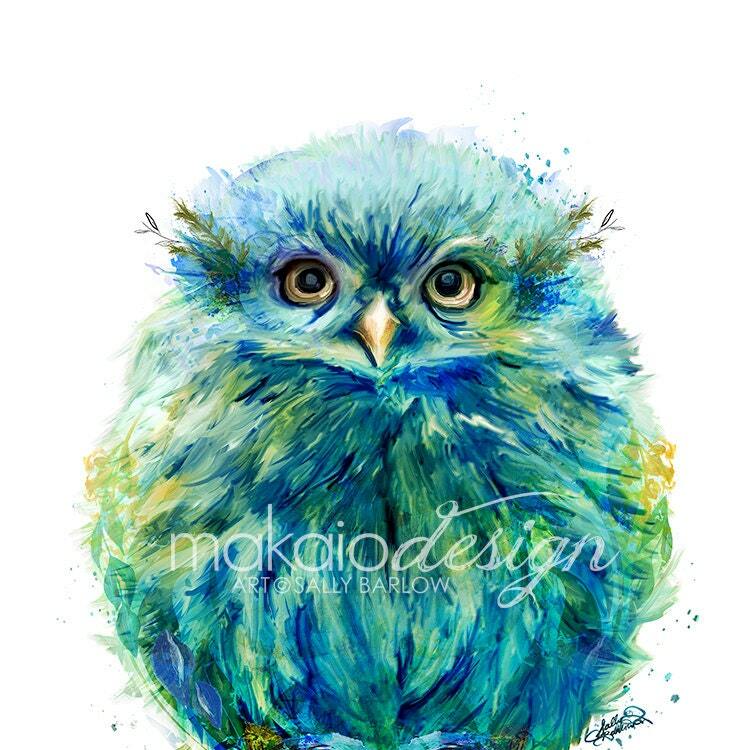 Make a Statement with this adorable baby owl painting! 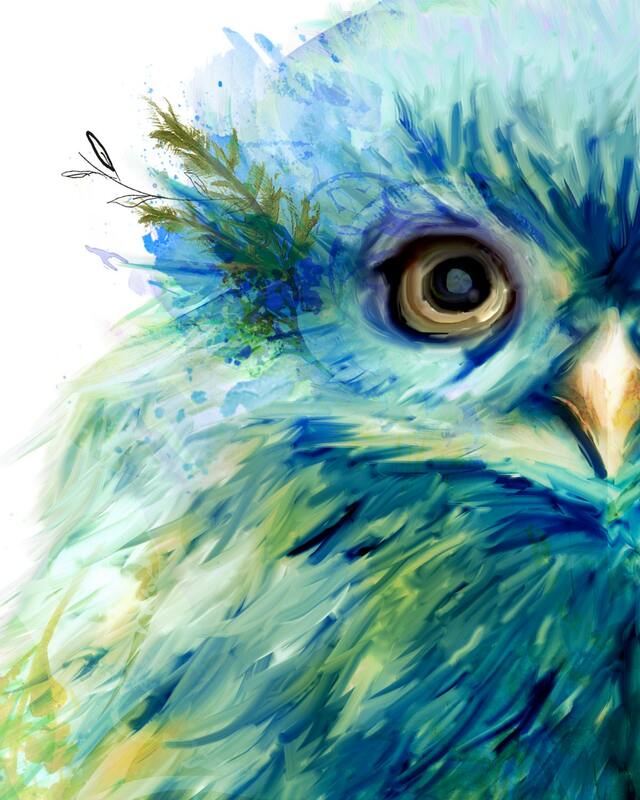 This unique digital painting is both a mix of watercolor, acrylic, and oil effects. 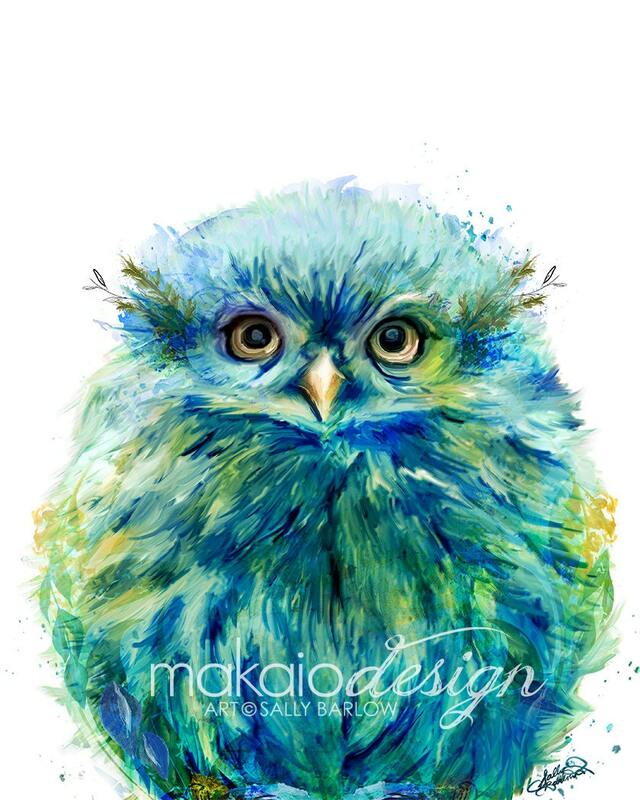 . . the contrast of the bright owl on a white background is a bold pop of color for any room!